Goodreads: As the Great War continues to take its toll, headstrong twenty-one-year-old Emily Bryce is determined to contribute to the war effort. She is convinced by a cheeky and handsome Australian pilot that she can do more, and it is not long before she falls in love with him and accepts his proposal of marriage. Kritters Thoughts: I love a solid historical fiction and this one is. Set during World War I, Emily Bryce is turning 21 and is ready to be a part of the efforts of the war despite what her parents want her to do - find a suitable boy and marry him! 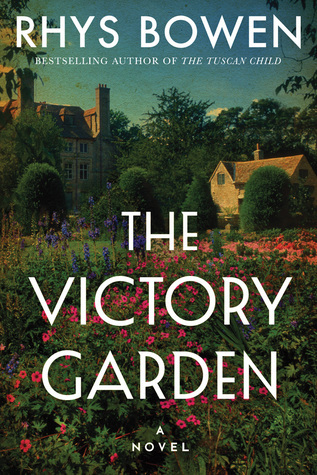 She goes against her parents wishes and enlists to be a land girl where she helps out on farms where the men have gone off to war. I love it when I read a historical fiction book set in a time and a place that I have read about before but takes a unique viewpoint and makes me think about the time and place in a whole new way. I didn't know anything about the land girl program before this book and didn't even think about how the farmers survived while their sons and even the husbands went far to fight the war. I know I have said it before but I love it when I learn something when reading a historical fiction but it isn't obvious until I am done reading the story! Before reading this book I was a Rhys Bowen fan and I will continue to be after reading this one. There are a few times when I wouldn't mind a sequel to see where these characters are a few years after I close their story and this was one of them! I wouldn't mind checking back in on Emily Bryce a few years from now and see where she is and what is going on with her a few years after this story concluded.